As a confidential secretary Porrett has a well-developed instinct for what will make the ladies of his employer’s household happy – and therefore what will keep the Earl of Wittering himself content. Nothing irritates his lordship more than his wife, daughter-in-law and granddaughter fidgeting about, bored and demanding his attention. Nothing, that is, but Porrett himself attempting to persuade the Earl to cast an eye over his accounts. Therefore, now that the family is established in elegant lodgings in Weymouth, have signed the Master of Ceremony’s book, subscribed to the library and taken the air the next priority is to introduce the ladies to the retail opportunities that the town holds. ‘It will be intolerably provincial, I suppose,’ Lady Ditherstone observes with a sniff. ‘Mr Porrett? You are gaping like a stricken haddock,’ Lady Wittering observes sharply. ‘Your ladyship’s pardon, I was mentally assembling the list of desirable emporia.’ He blushes in mortification at being so shamed, but Miss Emily sends him a speaking look of commiseration – it seems that perhaps she finds the haddock an attractive fish, or, more likely, she has been on the receiving end of her grandmother’s reproofs before now. ‘We must also acquire some of Mrs Bell’s Patent Bathing Preservers. Nothing would persuade me to be dipped in some hired bathing dress.’ Emily’s mother produces a shudder that would have made Sarah Siddons proud. And right next door is Madame Ernestine’s hat shop. Porrett was up and about at dawn this morning checking out the shops and there is the most exquisite bonnet in the window that would look enchanting on Miss Emily’s dark curls. 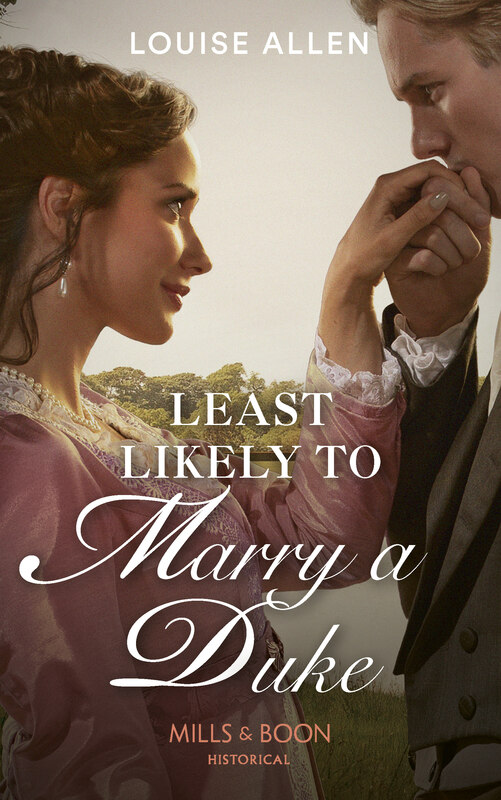 ‘But – ’ Porrett’s lower lip begins to quiver with as much pathos as Miss Emily’s ever did. ‘But I have turned my ankle a little, Mama. I need the support of a gentleman’s arm if I am not to strain it and be unable to dance tonight. Mr Porrett would be perfect.’ Periwinkle blue eyes smile into his yearning grey ones. ‘I would be only too happy, Miss Emily.’ Although I may need a cold bath before and after the experience. Dizzy with delight Porrett shepherds his little party through the streets of Weymouth, Claude the footman bringing up the rear and young Master Arthur tagging along too, for Porrett has promised him a shop selling shells, fossils and geological curiosities. Miss Emily holds tight to Porrett’s arm, limping just enough to give credibility to her tale of a painful ankle, and causing his bosom to swell with protective fervour. Will Emily get her bonnet? Will the ladies obtain their bathing preservers? Will Porrett’s blood pressure ever return to normal? In the next installment the Gatwicks (and Porrett) will go sea bathing. Cordwainer, Shoemaker, Cobbler? Where would Georgian Londoners Buy Their Shoes? 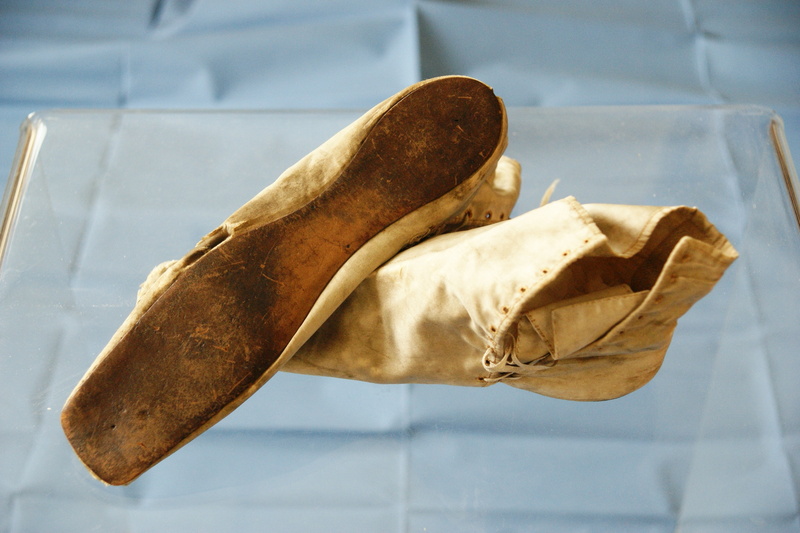 I have shoemakers in my ancestry through the 15th to 19th century. Sometimes they are described as cordwainers, sometimes shoemakers. So what is the difference, and where would you have gone to buy your shoes if you were a Georgian Londoner – from a cordwainer, a shoemaker or a cobbler? Shoemakers who chose to call themselves cordwainers were implying that they used only the finest materials, and therefore produced only the finest footwear. Cobblers, on the other hand, were not working with new leather. They were repairing shoes, or “cobbling together” new shoes from old. 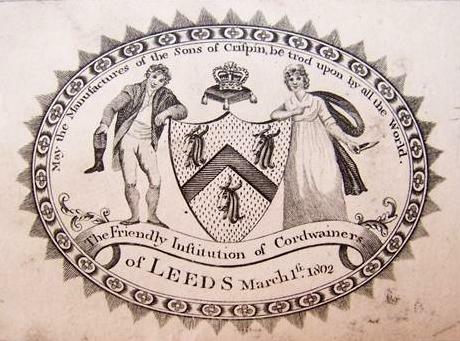 This trade card was produced by “The Friendly Institution of Cordwainers of Leeds” in 1802. The reference to “the Sons of Crispin” is to St Crispin, the patron saint of shoemakers. 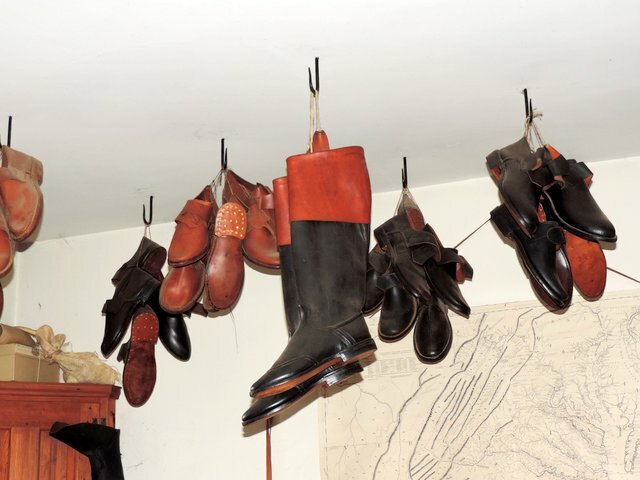 If you were a Georgian in London looking for footwear you had a choice ranging from the finest made-to measure products of a high-end cordwainer to the reworked product of the cobbler on the corner – or even simply second-hand from a market stall. 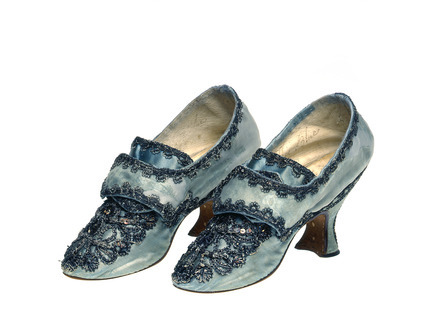 These exquisite blue satin shoes are in the Museum of London and date from the 1760s. The label inside reads ‘Fras Poole, Woman’s Shoemaker in the Old Change, near Cheapside London’. They show the high level of craftsmanship required for top-end footwear – and the range of craftspeople who would have been employed. Much simpler, and closer to Jane Austen’s day, are these delicate pink silk-satin ankle boots with their thin soles and fragile silk laces in my collection (below). They had absolutely no internal support for the sole of the foot. For the well-to-do, shoes were purchased from a shop which might display the products of one maker, or several. The trade card at the top of this post shows a fashionable lady being served. In the background are display cabinets containing a range of styles. As the card says, “Large Assortment of Ladies fashionable Shoes always on Sale.” For such a tiny scrap of cardboard the detail is considerable. The lady is seated with a mat in front of her to protect her unshod feet (or the new shoes?). She is being served by a man – the norm in high-class retail establishments – and he is carrying shoes over his arm in a way that shows that pairs were tied together. The assistant is smartly dressed, but wearing a long apron, which makes me wonder whether he would kneel down for the lady to place her foot on his knee. This is certainly the case lower down the social scale. 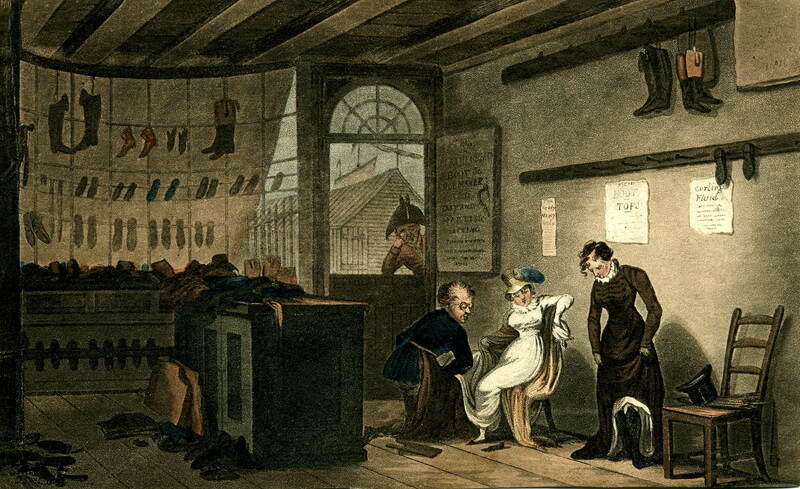 The print below shows a shoe shop which appears to be selling only products made on the premises – both men’s and women’s boots and shoes. One lady has her foot on the knee of the salesman while her friend, wearing a riding habit, tries on a boot. In this much less refined setting a passerby ogles the ladies. 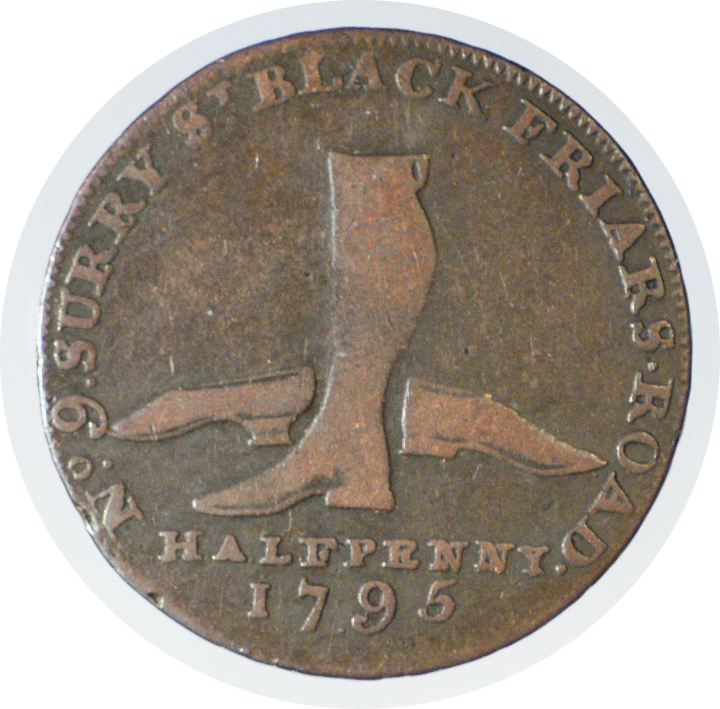 At the end of the 18th century small change was scarce and many businesses produced copper tokens which took the place of low denomination coins. I have two from shoemakers. 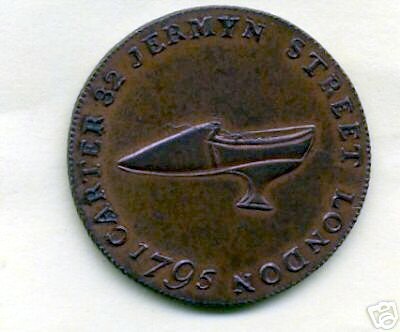 One is for Carter of Jermyn Street. Dated 1792 it shows an elegant lady’s shoe with heel. 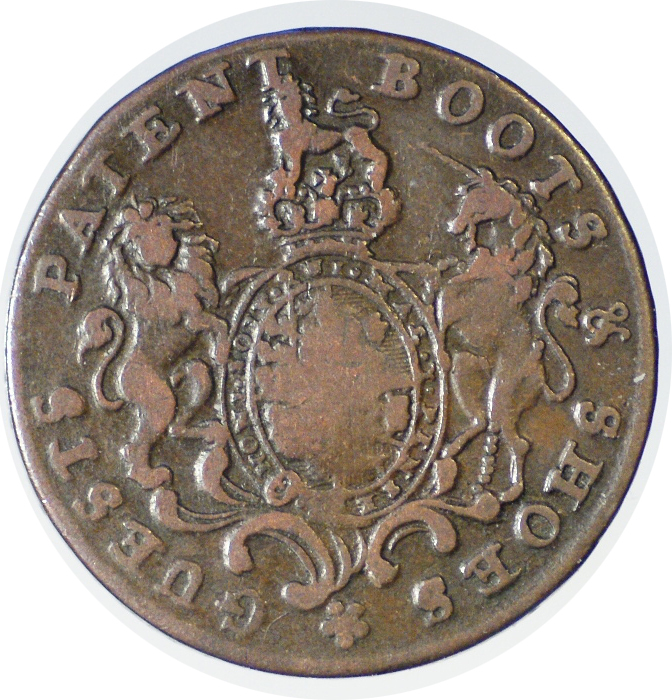 The other is for Guests Patent Boots & Shoes of No.9, Surry Street, Blackfriars Road (1795) and shows a lady’s slipper, a man’s shoe and a boot. Fashionable gentlemen took great pride in their boots and perhaps the most famous of all the London bootmakers was George Hoby whose shop was at the top of St James’s Street. Hoby was arrogant, and far from subservient to his aristocratic patrons, but he died a very rich man, famous for producing the iconic Wellington Boot to the duke’s special requirements. This billhead is from an account sent by Hoby to Major Crowder (who, incidentally, was the officer who intercepted the coach carrying Napoleon’s secret codes in the Peninsula). The billhead shows the royal coat of arms and names Hoby’s royal patrons. It also includes a do it yourself guide for measuring for boots – presumably this was for the convenience of officers serving abroad, or country gentlemen. To see a range of men’s footwear across the classes, this print by Thomas Edgerton from the ‘Bores’ series of 1828 is ideal. The gentleman has been interrupted as he pulls on his boots after breakfast. A beadle accompanies an aggrieved father who is complaining about the seduction of his daughter by the valet. These boots are elegant items in very soft leather with the spurs already attached, and they are pulled on using special boot-pullers and loops in the top of the boot. The gentleman’s backless bedroom slippers are by his chair. His valet wears black pumps with natty striped stockings, contrasting to the solid and old-fashioned respectability of the beadle’s buckled shoes. Finally the father wears practical riding boots with tan tops. 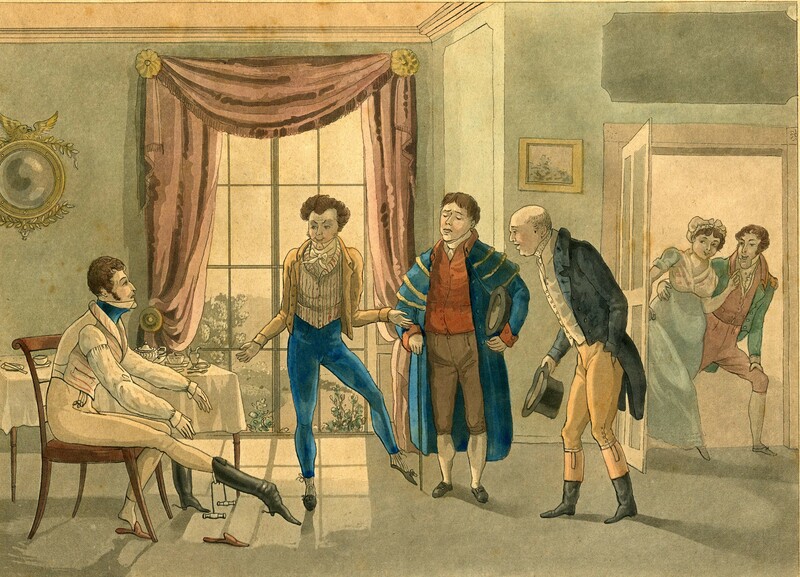 At the lower end of the market, shoemakers would produce a range of sizes and the customer would come in and buy ‘off the peg.’ For made to measure shoes a wooden last would be made to the customer’s exact measurements, kept in store and modified by cutting away wood, or adding leather patches, as the foot shape changed over time. To see a last-maker in action you can go into Lobb’s in St James’s Street. 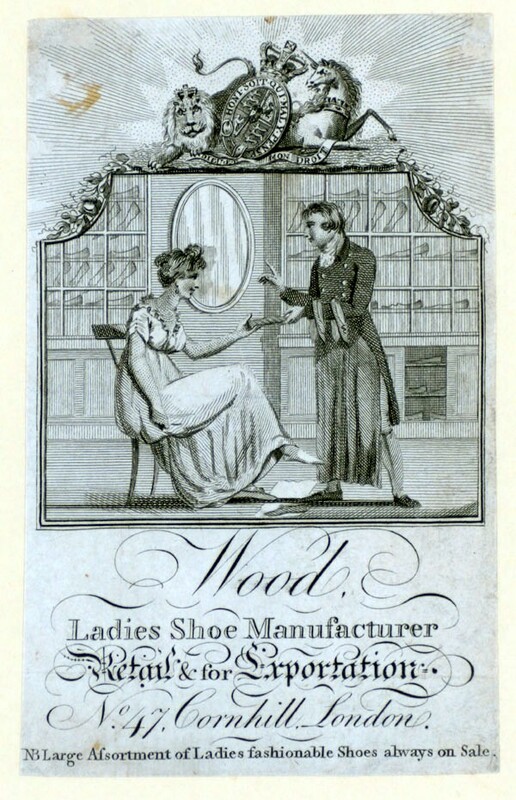 Although established a little later than the Regency they still produce hand-made shoes in the traditional manner and their display cases have some fascinating old examples. 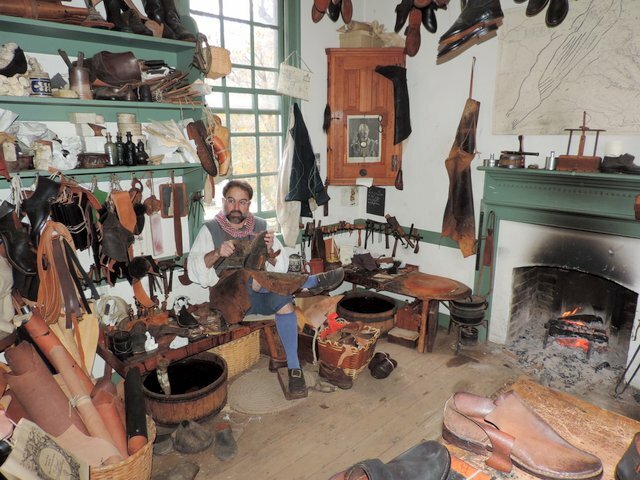 I was in Colonial Williamsburg, Virginia, recently and visited the shoemaker’s shop there. The photo is of him working to produce the everyday leather shoes that the re-enactors use on the site. 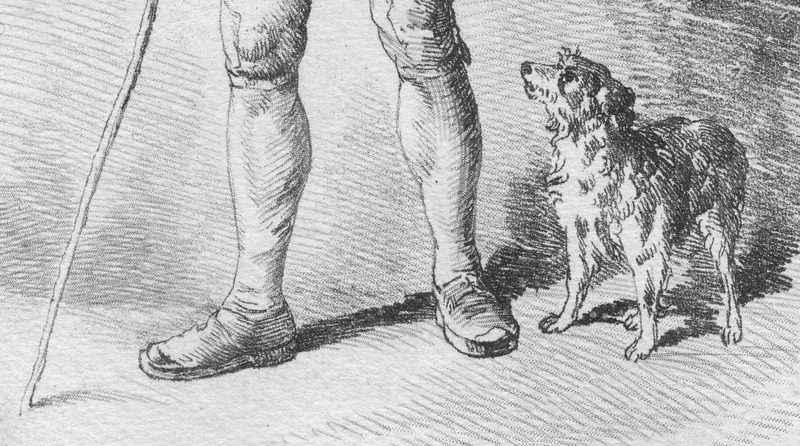 These are sturdy, off the peg styles, and are very similar to the shoes and boots illustrated by W H Pyne in his “Rustic Figures”, a series of sketches to guide amateur artists.